One year. It flies by so fast, seeming to be the same from one moment to the next. And yet each moment brings something new. Six doesn’t seem so much different from five. And in many ways she isn’t. Lost more baby features that defined her face. Physically, she’s not so much different. She’s reaching the age where who she is changes more quickly than how she looks. And that’s bittersweet. 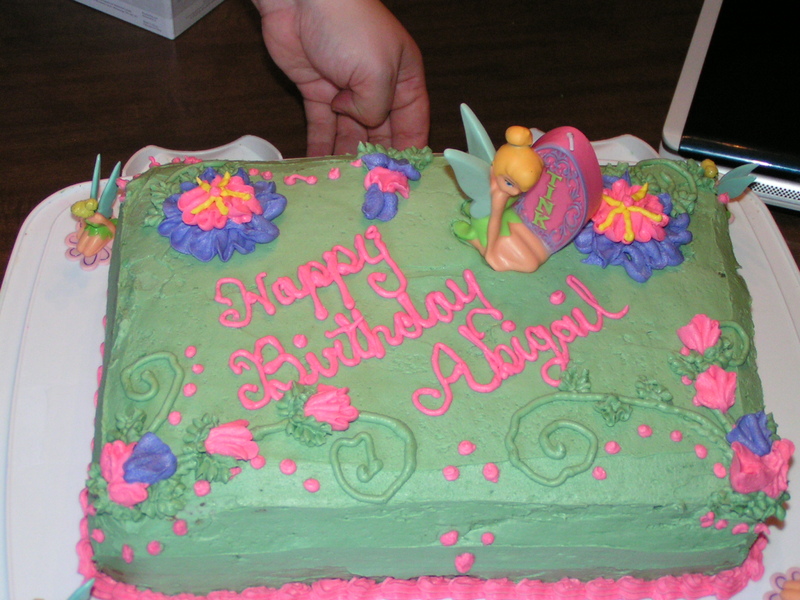 Abigail’s fifth birthday was followed by a windstorm of change in her life. Barely more than a month later, she watched her daddy participate in a ceremony she tried to understand. She ‘got’ the excitement, the visit from family, the party. All the things that came with the graduation. But she couldn’t understand the end that it also brought. Two months later we packed up the only life she could remember and moved far, far away from everything she knew. And we have not been settled since. In one year, she has left behind all of her friends, and has struggled to make new ones when we have no home to call our own. She has gained an awareness of her world while not having even one tiny spot that is not shared with someone else. In her chaotic, tipsy-turvey, unsettled world, she has not only grown, but has also blossomed. She lives up to her name – Joy of God. It has broken our hearts to watch her sob over the loss of friends, over the loss of the stable world that she still loves. But she keeps going. She wakes up again, with a smile on her face, and blesses all who are around her. I have prayed that God would give her a similar spirit of grace, love and joy as demonstrated by her namesake, the Abigail of the bible. That woman also faced difficulty. She faced a life that wasn’t easy. And yet she remained graceful, joyful, and she honored God. At six years old, I sometimes feel my daughter embodies a spirit of grace better than I do. She’s stubborn as anything (blame her German/Norske ancestry), but persistence tempered with grace can move mountains. As much as I ache to see her grow up so quickly, I can’t wait to see how each little moment of her life ends up shaping who she is. This entry was posted in Birthdays, family, Kids. Bookmark the permalink. 5 Responses to She’s Six! Happy Birthday, Miss Abigail!! You make us all so proud of you! We love you, little one!!! Happy 6th Birthday, Miss Abigail! Your are a ray of sunshine and a fountain of joy to all those around you! Looks like today will be a wonderful day for you! Abby says thank-you for the great birthday wishes! She had a huge smile on her face as I read them to her. Happy Birthday Abby!!! We miss you. Wow. I can’t believe she’s 6.